Home / INTERVIEWS / Jake Gyllenhaal playing intense role in ‘Nightcrawler’. 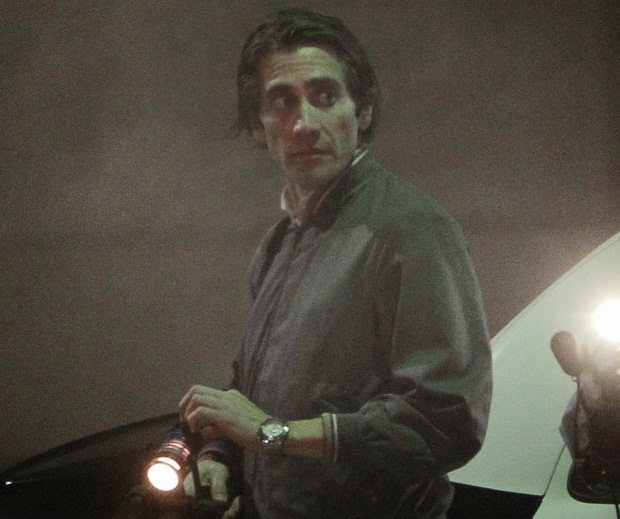 Jake Gyllenhaal playing intense role in ‘Nightcrawler’. Nightcrawler’ is pulse-pounding thriller set in nocturnal underbelly of contemporary Los Angeles. Jake Gyllenhaal stars as Lou Bloom, a driven young man desperate for work who discover the high-speed world of L.A. crime journalism. Finding a group of freelance camera crews who film crashes, fires, murder and other mayhem, Lou muscles into the cut-throat, dangerous realm of nightcrawling- where each police siren wail equals a possible windfall and victims are converted into dollars and cents. Aided by Rene Russo as Nina, a veteran of the blood-sport that is local TV news, Lou blurs the line between observer and participant to become the stars of his own story. Written and directed by Dan Gilroy, the likes of Bill Paxton and Riz Ahmed co-star in the film. I understand Lou’s appearance wasn’t actually stipulated in the script. Lou being wide-eyed and emaciated was something you came up with after reading the script and having discussion with Dan Gilroy..? It wasn’t in the script, but when I met with Dan..There were lot of references in the script to coyotes, and growing up in Los Angeles, something about Lou reminded me of a coyote. I can’t really explain to you what the first instinct was about that, but I can say that while I was reading it, I had this feeling that Lou was the type of person who was hungry. And when I met with Dan we talked about how Los Angeles is in the middle of a desert, and that’s sort of ignored (laughs), but it is. And at night theses wild animals come out and they start searching for food. Anyone who’s spent time in Los Angeles will tell you that at night, specially if you’re in the hills, you’ll inevitably hear coyote attaching some other animal or you’ll hear them howling. And when Dan and I were talking about it, it hit me and him that Lou was a coyote in a way. 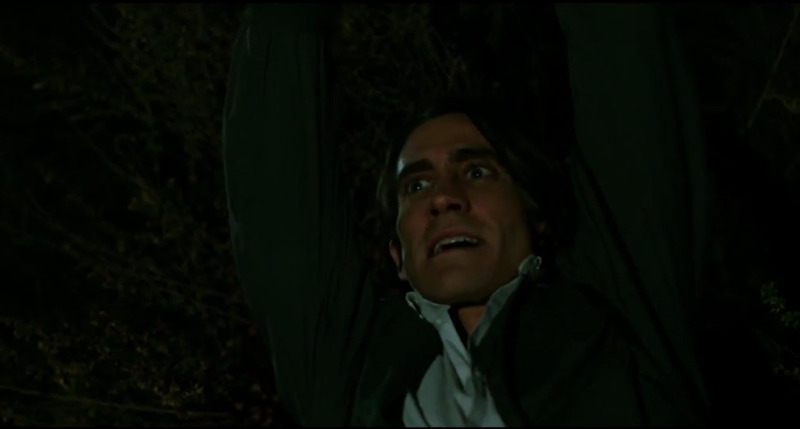 In fact , there were times when we thought we weren’t going to be able to get the title ‘Nightcrawler,’ and we thought we might title the movie ‘Coyote’ (laughs). So the essence of him was that he’s coyote, he’s hungry. You see them pouncing along the street and they look like they’ll eat anything, any scrap they could find. They smell blood and they’ll move to it …and that’s Lou. So I did make myself like a coyote and made myself hungry and I lost weight. I would run at night for a long time, for 8-15 miles. I’d run to set sometimes and I ended up isolating myself over a period of time, because that’s what they are like. They work in packs but they’re mostly alone, and even that. He’s preying on desperate people and that was that. Seeing as ‘Nightcrawler’ is et in the world of stringers, was that something you came across when you were researching ‘End of Watch,’ when you were delving into the world of an LAPD officer? And was that world of “nightcrawlers” something you were of before delving into this film? The film’s about the world of stringers in Los Angeles, the world of videoing and covering crime scenes—the guys who are non-union and work during the night time. They chase tragedy, and they try to find the most heinous, disturbing things that can be the most shocking to the audience when they watch the news in the morning. But the story is really about this guy Lou Bloom, who’s a bit of a wanderer, and he’s at an accident scene and he watches these guys do what they do and he decides to do it himself. Really it’s about the birth of an entrepreneur, that’s the way I try to look at it. I did, it was this set of brothers who are well known. But I went with them and Dan and Robert Elswit our cinematographer. We followed them around for a few nights. It’s interesting because this movie, I say that it’s a birth of an entrepreneur, but I also think its birth of a cinematographer because he’s a cameraman. So, to be here with the cinematographer in the research phase was fascinating. And Robert is actually my Godfather, so that was very interesting (laughs). It’s was very familiar. And I’m guessing the guys you shadowed weren’t as unhinged and sociopathic as Lou? No (laughs). They’re good dudes, very different to Lou. But they do walk this moralistic line of when do you intervene, and do you? Because that means money. And I talked to them about that a lot. I wasn’t interested in that aspect for the character because he’s not interested in that, but I was interested as a human being. And they told me about a number of times that they helped people, you know? And most of the time they’re there after the fact, so they’re not in that situation. You’ve made some really interesting choices as actor lately, with this ‘Enemy,’ and ‘Prisoners,’ and then upcoming ‘Everest’ and ‘Southpaw.’ I can imagine there are a number of factors, but what is it about a project that makes you want to jump on-board? It’s ever changing for me. There’s no real answer to why I pick something. I have no plan. Sometimes I’m moved by the human being who wants to tell the story, sometimes something connected to me with them for some reason. When I met Denis Villeneuve before e did ‘Enemy,’ we sat down…and the script, I didn’t totally understand. It was a Spanish translation into English, and there were things and concepts that I thought were really beautiful about it, but I didn’t know at that time exactly what he was saying. When I sat down and I had my first meeting with him I went, “Oh, the universe is telling me I have to make movie with this guy. We’re of like minds, and that’s it.” So I just dove into the unknown with him, and that spawned a relationship that then spawned anther movie, ‘Prisoners.’ I think it’s feeling. You’re an artist, and that’s about feelings, you know (laughs)? So you have to trust that. You immersed yourself in this ‘Nightcrawler’ character for a number of months. Was it easy to leave behind when you wrapped? I love this character, and that will sound sick to anyone who watches that movie (laughs). But maybe that’s because I loved the process and I loved Dan Gilroy and I love the script. I think he’s made an extraordinary film, so part of me is always there, but now he’s fully gone. It does take a couple months to fully flush out, but after a while it’s gone. But I do really love the character. When I would finish shooting a scene or I’d worked on a monologue for a long time, I would always be so sad because they were so well written, and I’d think to myself, “I don’t know when I’ll next be able to say words that are this well written.” But at the time it does effect you you. We shot the whole movie at night, so we weren’t really sleeping a lot. There were a lot of preparations because there were a lot of great words. There was just great dialogue that was written on the page. And I memorized it like a play. I spent hours upon hours walking down streets memorizing the lines, because he has these great soliloquies and monologues. I remember like early on, four months before, when I was on the streets in New York City running the lines trying to get them, like getting three lines at a time. And I remember hitting a run on the west side highway and being like..”Excuse me sir, I’m looking for a job..I’m trying to find a career to learn. I’m going to said..” “What I said, I what? (Laughs). It was like that for months. And then, it was something that started to feed into my soul a little bit, and into my bones. And, the way he talked, the first line he has is, “I’m under the option that this is a detour.” Nobody talks like that, you know that sort of word choices became a part of me and I started losing weight and I started working with Dan and we started rehearsing with everybody and he became, he sort of grew up out of the Earth. But then you have to move on when it’s over. After Playing such an intense role, do you need to take a break before taking on another one? I do, but sometimes you don’t get the shot (laughs). After this movie, it took me a little bit of time, but I went into ‘Everest,’ which is about the tragic expedition in 1996. But that was strangely cathartic because we were out in nature and I was just excited to be eating (laughs). To shake off the character, that takes awhile. After ‘Everest’ I did ‘Southpaw’ with Antoine Fuqua, and I spent six months training for that movie…and then I just started a movie with Jean-Marc Vallee and I had two weeks between. When you finish, even though you explore a side or a piece inside of yourself that you have to pull back out, it’s like steering a ship like you were in a storm and one the sky is clear and you’re like, “Well, OK. We’re headed that way now.” You just roll with it, but it does to a few weeks to flush out for me. 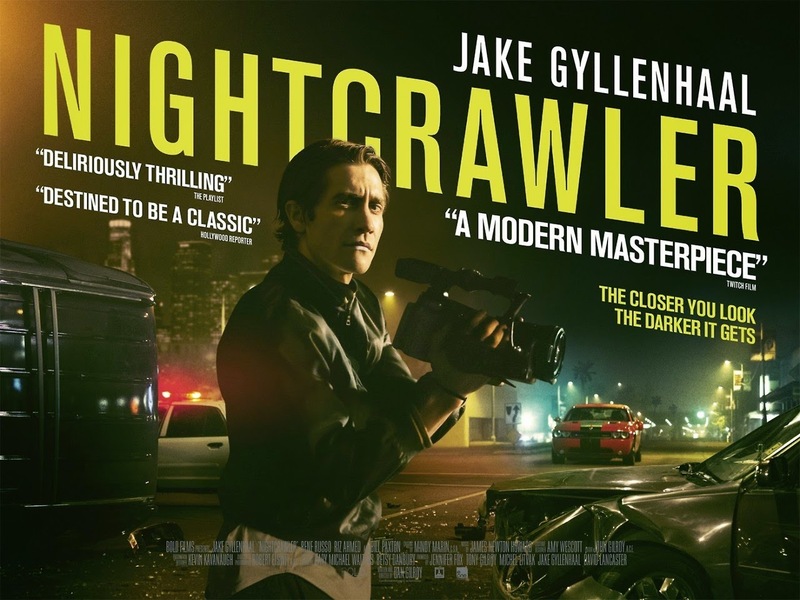 ‘’NIGHTCRAWLER” is released and distributed by CAPTIVE CINEMA.